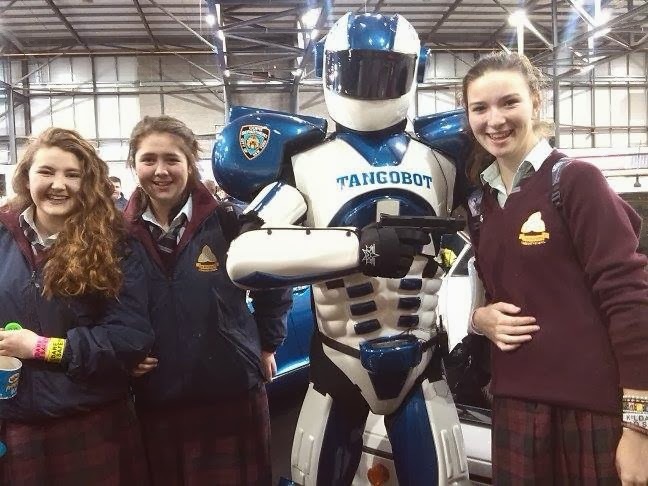 rowens rampage through ty: So i got followed by a robot?! 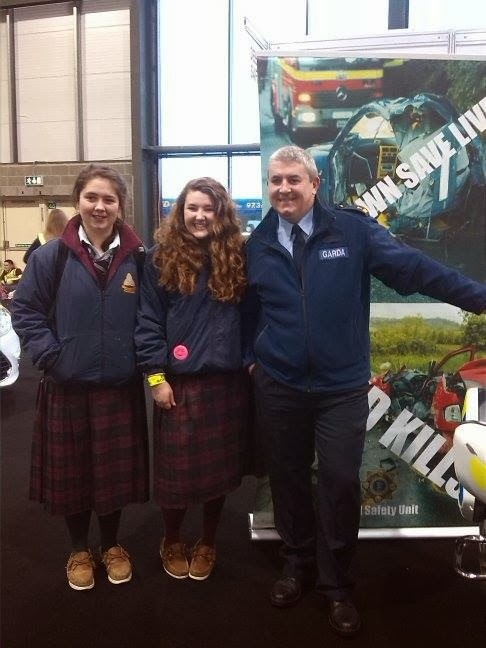 Another trip took us to Punchestown fr a road safety show. 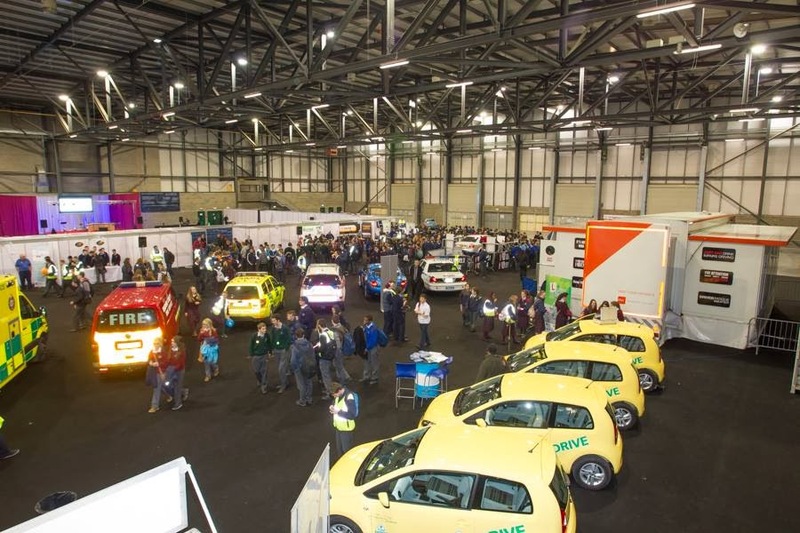 It was packed with other schools and cars,guards,firemen,ambulances and many more! Of course we had t get loads of free stuff to begin with! :3 Also getting pictures with everyone and everything! We went around looking at all the stuff on show getting interested! The NYPD were there with a Tango-bot. Which was a 'robot' built bu NASA! Knowing my luck it start following me! Pfffftt i was not scared! The last part of the day was a talk and videos warning us to be careful on the roads, what and what not do and just over all be safe!